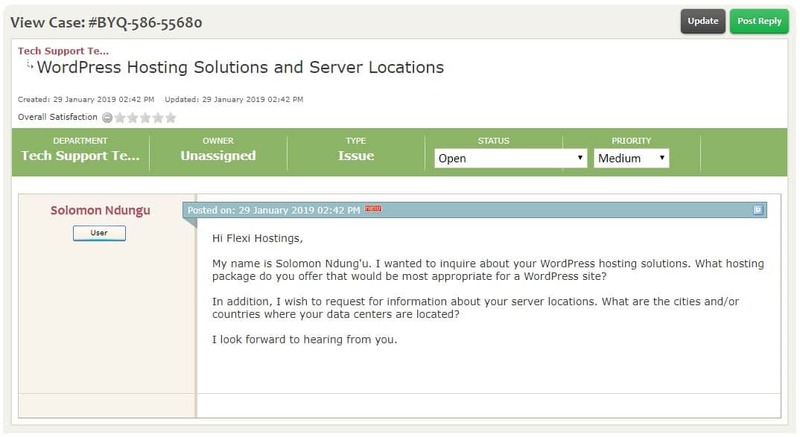 Flexihostings Review 2019: Is Flexihostings a Good Hosting? Flexihostings.net is a subsidiary of Flexi e-Solutions Pty Ltd. The web hosting company has hosted over 1,000,000 domains since it opened its doors to individuals and businesses in June 2002. It offers shared web hosting as well as managed and unmanaged cloud servers to its clients distributed across the globe. Flexihostings.net is a website hosting company established over 15 years ago. During that time, this hosting company has invested substantially in the development of its hosting solutions to cater to the needs of businesses of all sizes. Today, Flexihostings.net is a proud host of over 1,000,000 domains for its customers distributed across Australia, Singapore, Malaysia, Philippines, and several countries in Europe. It is worth noting that Flexihostings.net seems to be the parent company of many other companies using the brand name Flexihostings. The company has multiple websites for different locations across the globe, not at all surprising given that they boast a significant market share in the hosting industry in more than 167 countries. Flexihostings servers are housed in secured and reinforced data centers located in multiple locations across the globe, including the United States, Singapore, Hong Kong, Australia, and the Netherlands. The data centers are equipped with a redundant power supply and connected to lightning fast fiber network connections providing highly reliable network connections. Flexihostings shared hosting solutions are available in two packages: Light and Ultra. The Light package comes with one domain name, 50GB disk space, and 100GB bandwidth. The Ultra package includes one domain name, unlimited disk space, unlimited bandwidth, and a free domain name for life. Both packages include unlimited emails, unlimited MySQL databases, cPanel control panel, and firewall and malware protection. This vendor’s Cloud Managed Server solution comes in three packages: Economy, Advance, and Mega, while its Private Cloud Server solution comes in three packages, namely: PCS 1, PCS 2, and PCS 3. All Flexihostings web hosting solutions comes with automated backup and self-service backup services, providing safe and secure data. For clients in need of advanced website security features, Flexihostings offers SSL certificates as an additional package. The hosting provider offers 128-bit encryption SSL certificates powered by industry leading GeoTrust to provide the highest level of security possible. Flexihostings web hosting prices are pretty standard. The hosting plans come with free setup and free domain privacy protection. The vendor offers multiple billing cycles including monthly, semi-annually, annual, and biennial. 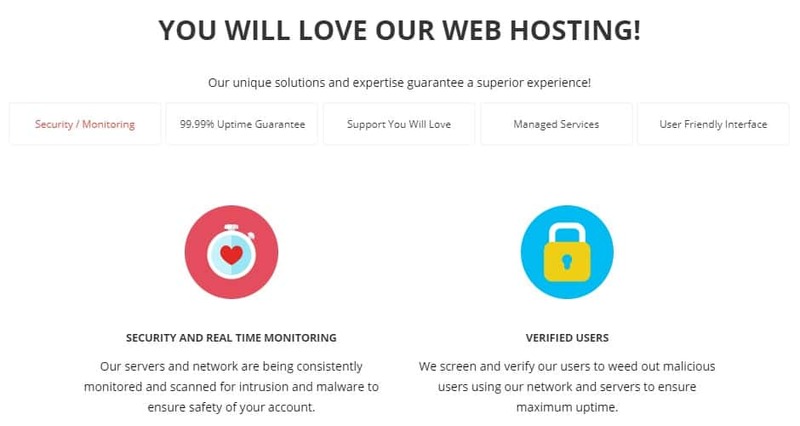 It offers a 30-day money-back guarantee for all hosting services except the reseller hosting solution that offers a risk-free three-month trial period. In addition, the hosting company offers an average uptime guarantee of about 99.9% for most of its services. You can contact the Flexihostings.net technical support team via its ticketing system and live chat, and the support desk is available 24/7. Flexihostings’ support system is designed such that anyone who opens a ticket is automatically registered in the vendor’s customer care system. Its system sends the user a message with their username and password to access the customer care portal. I logged in to the portal to check if the vendor had resolved my ticket. Even five days after I opened the ticket, the vendor had not assigned anyone from support to resolve it. While some Flexihostings websites include a knowledge base, guides, manuals, and video tutorials, others don’t. It is clear to me that Flexihostings has the capacity to handle websites of any size. Its global reach makes it appealing to people and businesses who would want to work with a vendor that has a noteworthy presence around the world. However, the vendor’s many websites, all under its brand name but with different designs and even some differences in the service offerings, can be really confusing to a potential customer. Furthermore, the company’s unresponsive support would concern any would-be customer of this hosting provider. Wondering how Flexihostings stacks up against other Web Hosting companies? Enter any other Web Hosting company and we will give you a side-by-side comparison.